Published by Fundación Eduardo F. Costantini, Buenos Aires, 256 pp. Gego (1912–1994) produced a range of line-based abstract work, including drawings, prints, and wire sculptures. 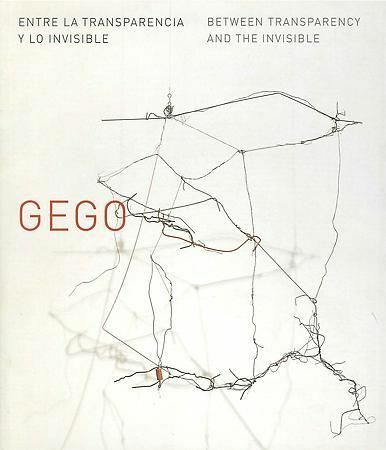 Focusing on a rare series of monotypes from the early 1950s, drawings and prints, and “drawings without paper” and “tejeduras” (woven paper pieces) of the late 1970s and 1980s, this fascinating book traces Gego’s exploration of line and space. Gego used lines as conceptual and visual tools to create in-between spaces within her works. Whether drawing lines on paper or projecting them into space, the artist sought to “make visible the invisible.” She believed that line could express what is not physically present in nature––including thought, intuition, and emotions. By manipulating the density of the lines or by interrupting them, she brought light, shadow, and feeling into her linear works. Catalogue from the exhibition at the Museum of Fine Arts, Houston, 2005. Curated by Mari Carmen Ramírez.